Notifications deliver messages about latest updates on everything related to OPPTIMO to a set of recipients according to their permission levels (user levels). Number of unread notifications will be displayed next to flag icon . Step 2: Click on “Preferences” icon to open “Update Notification Preferences” window. 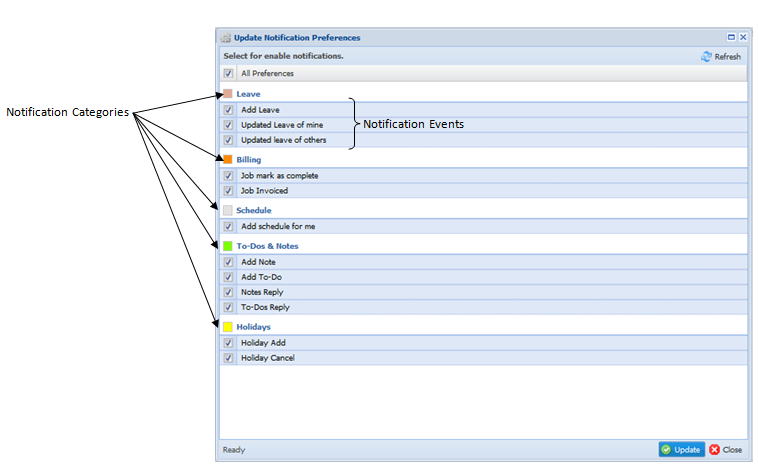 Step 3: Select or deselect notification events you need to enable in “Update Notification Preferences” window. To enable all notification events, select option. 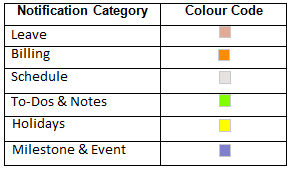 Note: Notification events visible in “Update Notification Preferences” window get changed according to user levels. 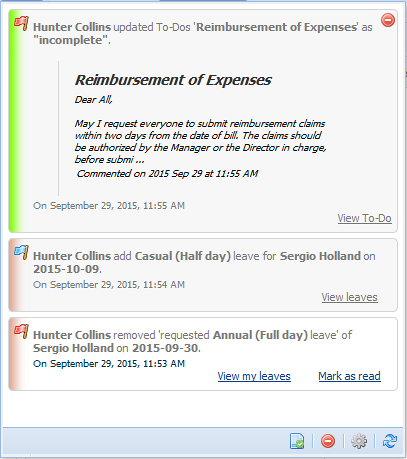 Step 4: Click on button to save changes to notification preferences or click on button to cancel changes and exit. Note: To mark all notifications as read, click on option in “Notification” window. Step 2: To delete only selected notifications, click on “Clear” icon in-front of the selected notification and to delete all notifications, click on option in “Notification” window.